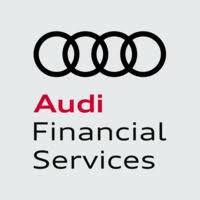 CHATTANOOGA, Tenn. -— Dealers Auto Auction of Chattanooga is proud to announce the addition of Volkswagen Credit and Audi Financial Services to its lineup of consignors. The inaugural sales held April 12th and May 10th of this year were both very successful with conversion rates over 90%. VCI is very excited to bring a sale into the hometown of their assembly plant located in Chattanooga, TN. The Chattanooga plant produces over 150,000 vehicles and employs approximately 2,000 employees. Dealers will have the ability to shop both Volkswagen and Audi brands from DAA Chattanooga monthly. In talking with many dealers during the sales, they commented at how pleased they were to be able to purchase vehicles through a hometown facility located in Chattanooga. VCI is committed to supporting the local community. “We believe that selling quality pre-owned vehicles in the home town of our Chattanooga plant makes a ton of sense and are very happy with the progress and relationship with DAA,” stated John McCue, Senior Manager Auction Operations at Volkswagen Credit/Audi Financial Services. “It is important for VCI to give back to the local community that supports our company, and DAA shares those same values”. David Andrews, CEO of Dealers Auto Auction Group, commented “We are very excited to have this opportunity to work with John McCue and his team at VCI. The DAA Chattanooga team strives for exceptional service and performance and we look forward to a long relationship with VCI”. Dealers Auto Auction Group was started back in 2001, with their first auction in Horn Lake MS. It now has 6 auction locations in the Southeast including Dealers Auto Auction of Memphis, Dealers Auto Auction of Murfreesboro, Dealers Auto Auction of Chattanooga, Dealers Auto Auction of Huntsville, Dealers Auto Auction of Jackson and Dealers Auto Auction of Mobile. 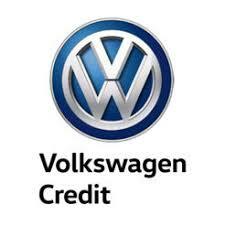 The next Volkswagen Credit and Audi Financial Services sale will be held on June 7 at 10:00 a.m. ET, and inventory can be found at www.dealersauto.com. DAA Chattanooga is located at 2120 Stein Drive, Chattanooga, TN. This facility offers 8 lanes on more than 57 acres. Services include full reconditioning, mechanical and transportation services. Dealers Auto Auction Group, LLC a National Automobile Auction Association (NAAA) member auction, based in Franklin, Tenn. and is a leading independent wholesale auto auction group providing comprehensive services to connect buyers and sellers of used vehicles throughout the southeast. Through its auctions located in the Southeast, DAAG provides comprehensive services such as condition reports, reconditioning, mechanical, online & simulcast sales, post-sale inspections, and NAAA arbitration for sellers and buyers.